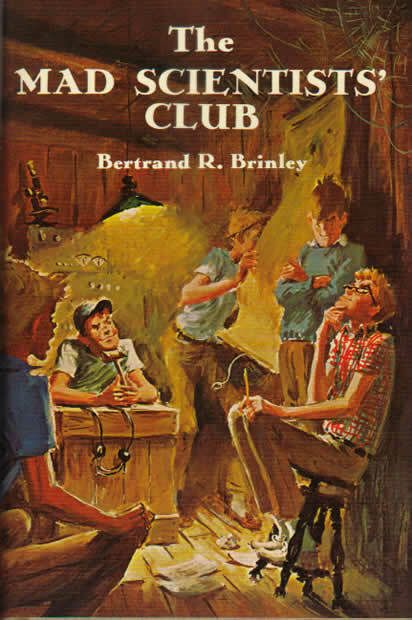 During the course of the books, the boys often use technology (such as ham radios) and science to pull off harebrained schemes. For example, in "The Strange Sea Monster of Strawberry Lake," they build a fake sea monster out of chicken wire mounted to a rowboat, and row it out on Strawberry Lake. When it gets too dangerous to take the boat out on the lake themselves because hunters are preparing to shoot it with an elephant gun, they rig a remote control system to operate it at a distance. 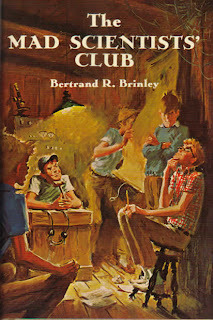 My mommy read to me The Mad Scientist Club last summer. She told me that her daddy read it to her when she was a little girl. I love how the boys all work together, their in a club and I love clubs. I love how the author made it into short stories so you can read one a night. I really like how the boys always come up with smart ideas and they think together to make inventions. My mom says that the book is discontinued (whatever that means) so she said you can buy it online. Buy yours today! Way cute review! Sounds like something I should get my nephew. Sounds like a cute book (and even cuter reviewer!)! Thanks for sharing! My boys would love it.